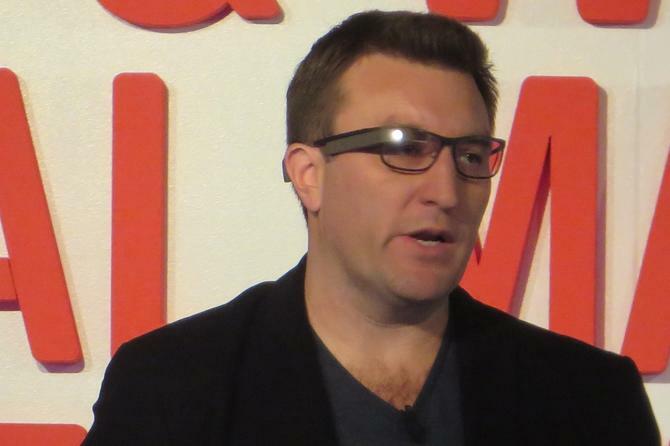 Google’s Glass marketing group is focusing on being transparent with consumers, and is trying to address the privacy concerns with its wearable technology, according to Google Glass marketing director, Ed Sanders. “[We are] really forthright about having the debate around it and being proactive about listening to people’s concerns and fears and trying to address them,” Sanders said at the AANA and World Federation of Advertisers (WFA) Global Marketer Conference in Sydney. “A lot of my challenges at the moment are around perception,” he said. Sanders tried to quell concerns by showing that the camera is not on all the time. He also pointed out that similar privacy concerns were voiced when the first camera phone and even the first handheld camera were released, but the concerns turned out to be overblown. Glass was a tricky thing to market from the start, Sanders said. When Google first went public with its Glass, the marketers faced the interesting challenge of not having anything physical to show. At that stage, Glass wasn’t really even portable—wires came out the device connecting it to a power source. It wasn’t ready to show the public, even though Google wanted to talk about it, Sanders said. Instead, the Google marketers decided to focus on a trend of people being “buried in technology”. For example, people often staring down at their phones at bus stops and while walking down the street. Sanders said Glass would be a way to free people to multi-task more efficiently. So Google made a film showing concepts for Glass and what life could be like with the headset, he said. The marketing group deliberately avoided talking to engineers about technical specifications, he said. Later, when Google did have a product to show, the Glass marketers again decided to avoid the highly technical hype that traditionally precedes the release of a new gadget. Instead, it launched the Explorers program, handing out early versions of Glass to real people to try for themselves, Sanders said. As with the video, the idea was to focus on the possible real-world applications of Glass. Google decided that while it could get a bunch of smart people in a room and dictate what Glass wearable computing should be, it would be more exciting to let the world try it out for themselves, he said.